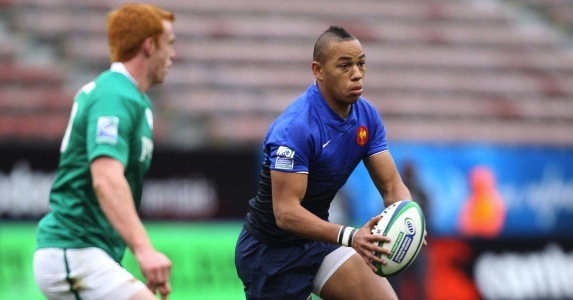 YOUNG TOULOUSE star Gaël Fickou has been named in France’s squad for the upcoming November Internationals against Australia, Argentina and Samoa. The 18-year old centre impressed on his Heineken Cup debut against Leicester Tigers last Sunday, continuing his good form after an excellent showing at the IRB Junior World Championships in South Africa last summer. Fickou is one of eight uncapped players selected by Phillippe Saint-André, with Racing Métro prop Ben Arous, Castres prop Yannick Forestier, Toulon lock Jocelino Suta, Perpignan lock Sebastien Vahaamahina, Toulon flanker Pierrick Gunther, Stade Francais fly-half Jules Plisson and Toulon winger Vincent Martin all called up. The squad will be captained once more by Thierry Dusautoir, who was rested for the summer tour to Argentina along with Vincent Clerc and Nicolas Mas, with Pascal Pape named as vice-captain. Frédéric Michalak is also named in the squad for the first time since his return to France from the Sharks, having played regularly at scrum-half for new club Toulon alongside Jonny Wilkinson. Toulon’s impressive start to the season sees four of their players picked alongside Michalak, including rising stars Gunther and Suta and former Perpignan centre Maxime Mermoz. There are no places in the squad for veteran backs Aurélien Rougerie and Clement Poitrenaud, whilst Imanol Harinordoquy and Dimitri Yachvili both miss out through injury. Former Leicester Tigers player Benjamin Kayser is one of three hookers in the squad. Les Bleus drew their two-match series with Argentina in June, winning comfortably in their last match in Tucuman by a score of 49-10. That victory concluded a three-game losing streak, dating back to their fourth placed finish in last season’s Six Nations Championship, their worst result in the tournament since 2001. Forwards: Nicolas Mas, David Attoub, Eddy Ben Arous, Vincent Debaty, Thomas Domingo, Yannick Forestier, Dimitri Szarzewski, Christopher Tolofua, Benjamin Kayser, Pascal Papé, Yoann Maestri, Sébastien Vahaamahina, Jocelino Suta, Thierry Dusautoir, Wenceslas Lauret, Fulgence Ouedraogo, Damien Chouly, Louis Picamoles, Pierrick Gunther. Backs: Morgan Parra, Maxime Machenaud, Frédéric Michalak, François Trinh-Duc, Jules Plisson, Maxime Mermoz, Wesley Fofana, Florian Fritz, Gaël Fickou, Vincent Clerc, Yoann Huget, Benjamin Fall, Brice Dulin, Vincent Martin.